Wonderful card! I really like the coloring/shading on the flowers! Thanks for playing along with us at CC&S! This is so lovely, Marsha! Great way to combine the challenges! 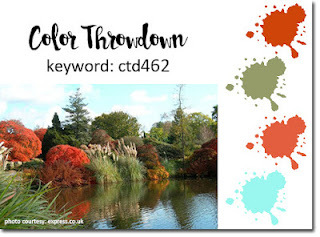 I'm so glad you played along with us this week at the Color Throwdown! Lovely take on the sketch. Those flowers are great and I love the embossed chicken wire behind them. 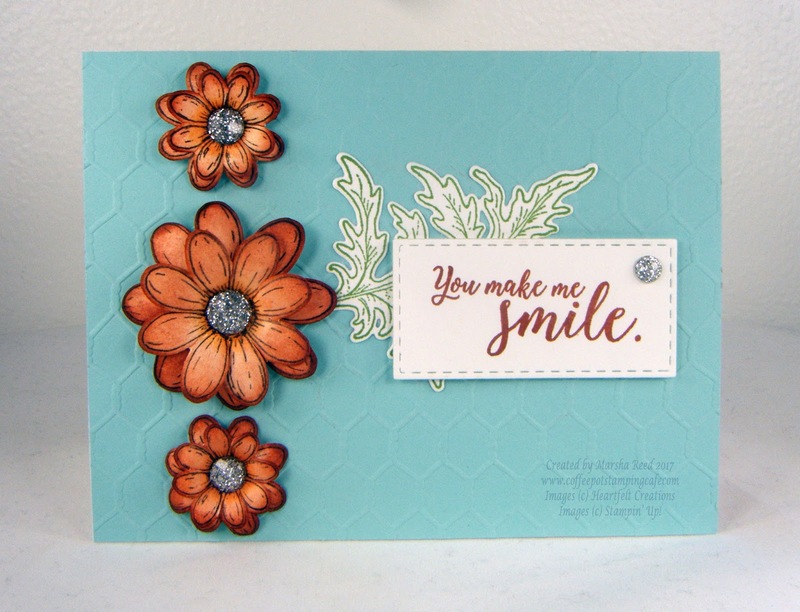 Thanks for joining us on this week's CC&S challenge. Beautiful colour combination I love the subtle embossed background. Thanks for sharing with us at CC&S!